The Ford F-150 has been the best-selling truck in the United States for the past 37 years, and the best-selling vehicle outright for the past 32. That's quite a legacy, and thus, it's no surprise that Ford worked super-duper-extra hard on creating the all-new, aluminum-bodied 2015 F-150 that debuted at the Detroit Auto Show earlier this year. But that's only a small part of the story. Of course, the new F-150 has to be able to withstand whatever a pickup buyer might throw at it – and truck buyers arguably demand the most from their vehicles. So in an effort to convey just what the new F-150 had to go through before being given the final go-ahead, Ford has released a series of videos, showing how its new halo truck was indeed torture tested. During an event at the company's headquarters in Dearborn, MI this week, we were able to see all of the ways that Ford endurance tests, not just the new F-150, but all of its vehicles. From examining things like light exposure to interior materials and paint finishes, to making sure that corrosion absolutely does not happen when steel components come in contact with aluminum panels in the new truck. The goal: ensure that the new F-150 is nothing short of "Built Ford Tough." 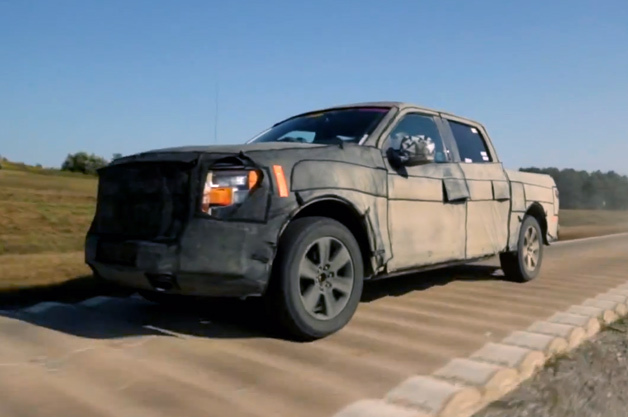 These tests involved things like shaking and twisting the Used Ford F150 truck in seven different ways (at the same time) for a simulated 225,000 miles, driving the pickup over seriously rough roads, giving it corrosion baths with acid sprays, towing uphill and downhill in 120-degree weather, thermally shocking the engine, and much, much more. Have a look at all 10 tests in the videos below, and scroll down a little further for a press release that explains what's going on in each scenario.